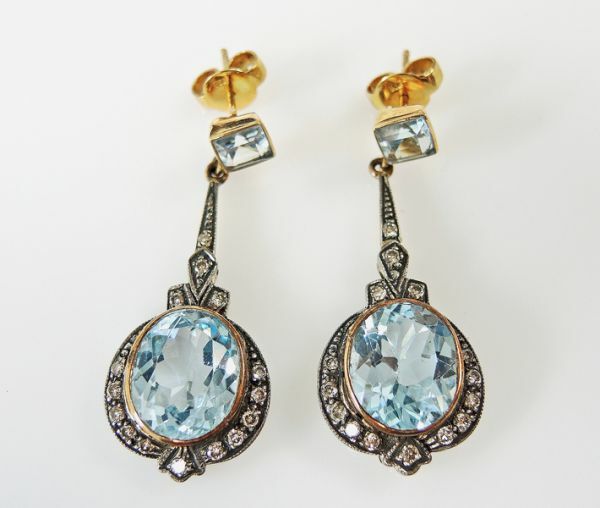 A beautiful pair of Art Deco style 18kt yellow gold and silver mill grain drop earrings featuring 2 oval faceted cut medium intense blue topaz, est. 11.89ct; 2 square cut medium intense blue topaz, est. 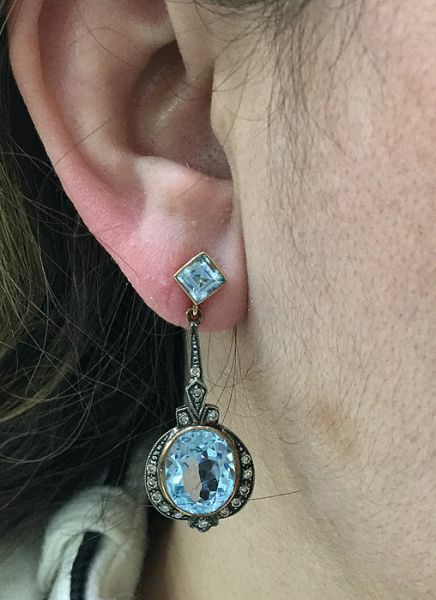 1.65ct and 30 round brilliant cut diamonds, est. 0.44ct (SI clarity & M-N colour).